C1 displayed under a weather roof at the West Coast Pioneers Memorial Museum at Zeehan on 8 May 2003. 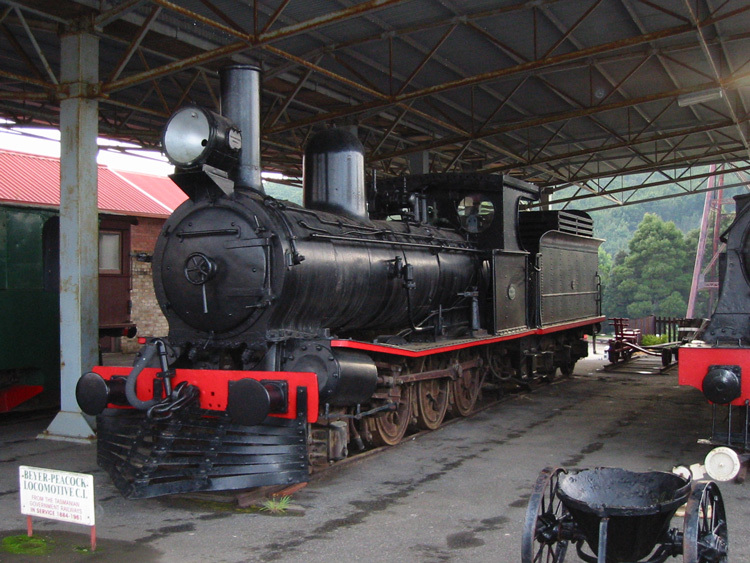 C1 is displayed under a weather roof at the West Coast Pioneers Memorial Museum at Zeehan, in company with a number of other railway, mining and geological exhibits showcasing the development of Tasmania's West Coast. This is an excellent museum and well worth a visit. 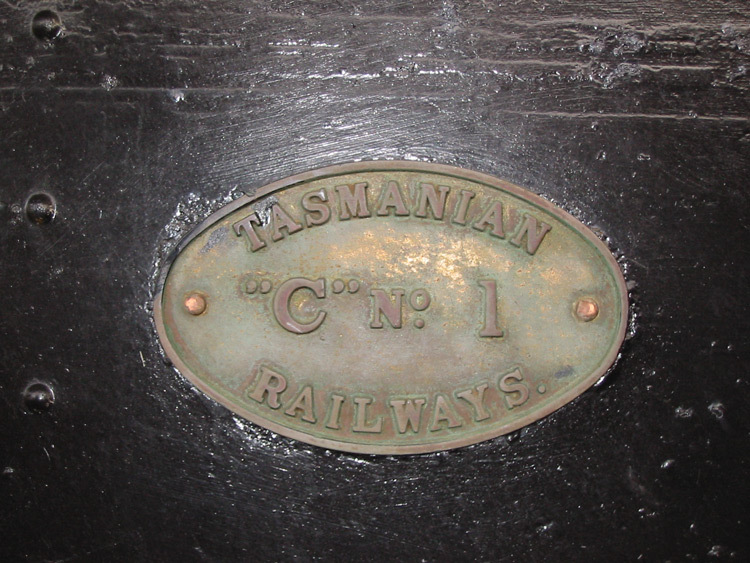 C1 carries these simple but beautiful brass number plates on the cabsides. 8 May 2003. 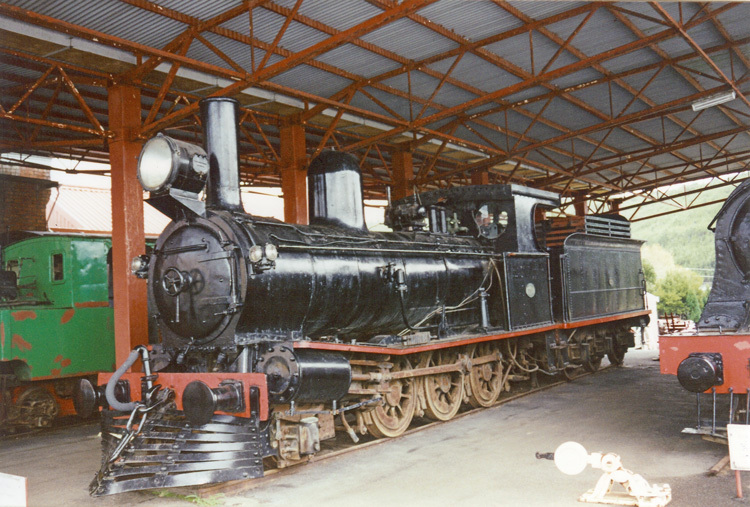 An earlier scanned photo view of C1 at the West Coast Pioneers Memorial Museum at Zeehan in May 1993.